What is foreach loop in C#? 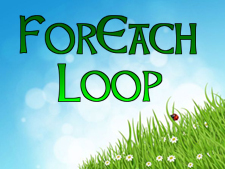 How to use foreach loop in C# programming? foreach loop is a different kind of looping constructs in C# programming that doesn’t includes initialization, termination and increment/decrement characteristics. It uses collection to take value one by one and then processes them. Where, name is a string variable that takes value from collection as arr and then processes them in the body area. Note: You will learn more about array in lateral chapter. In this chapter you learned what foreach loop is and how to use it in C# programming. You also learned how to use foreach loop to access value from collection as array. In next chapter you will get some programming examples of loop constructs in C sharp.